The next Lymphoedema Support Suffolk (LSS) meeting will take place on Monday, 28 January at the Moreton Hall Community Centre in Bury St Edmunds from 7.00pm – 9.00pm. People living with lymphoedema, the long-term condition that causes painful swelling and restricted mobility, and lipoedema, a long-term (chronic) condition where there's an abnormal build-up of fat cells in the legs, thighs and buttocks, and sometimes in the arms, are welcome to attend. Lymphoedema Support Suffolk volunteers will be joined by Gylda Nunn, head of integrated therapies and Sharon Basson, head of community nursing, at the West Suffolk NHS Foundation Trust. They will give information about the West Suffolk Lymphoedema Service provided by the Trust, and their aims for the service in 2019. The meeting is also an opportunity for current patients to ask questions and give feedback about their experiences of the service. Jess Davies, lymphoedema clinical lead at the West Suffolk NHS Foundation Trust, said: “Lymphoedema and lipoedema can be debilitating conditions and can have a huge impact on someone’s quality of life. We work in partnership with our patients to plan their treatment and support them to identify many self-help factors that allow people to manage their condition and live a healthy and independent life. Lymphoedema is a chronic condition that causes swelling in the body’s tissues. It can affect any part of the body, but usually develops in the arms or legs, making it difficult to move. LSS meetings are free to attend, people are encouraged to come along and find out more about living with, and managing, lymphoedema and lipoedema in a relaxed and friendly setting. The West Suffolk Lymphoedema Service team. 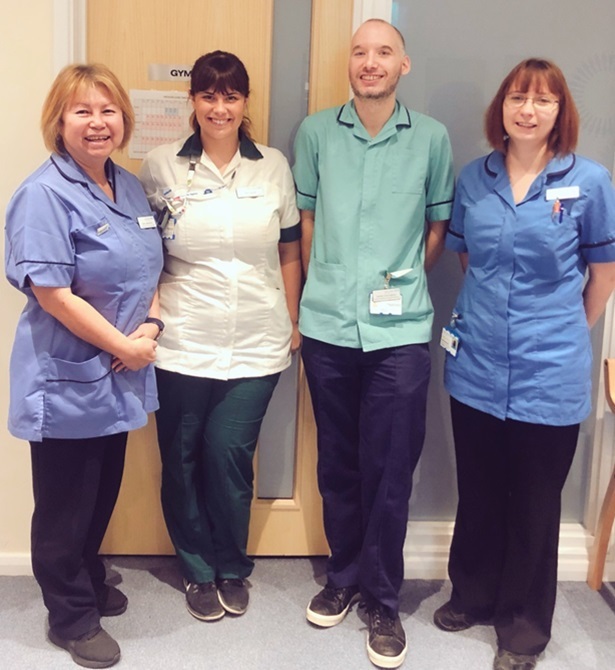 Left to right: Kate Laybourne, lymphoedema specialist nurse, Jess Davies, lymphoedema clinical lead, Stefan Currington, lymphoedema assistant practitioner, and Laura Beaumont, lymphoedema specialist nurse.